Excellent progress on my upholstery project, new webbing and hessian stitched ready for stuffing. Every stage leads methodically to the next. A beautiful and satisfying process which provides a perfect balance between physical labour and attention to detail. 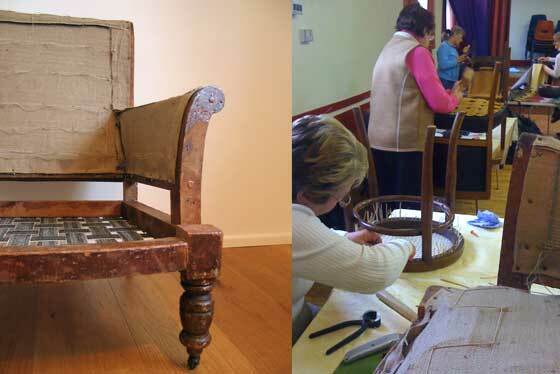 This entry was posted in Documentary and tagged project, upholstery, work in progress. Bookmark the permalink.